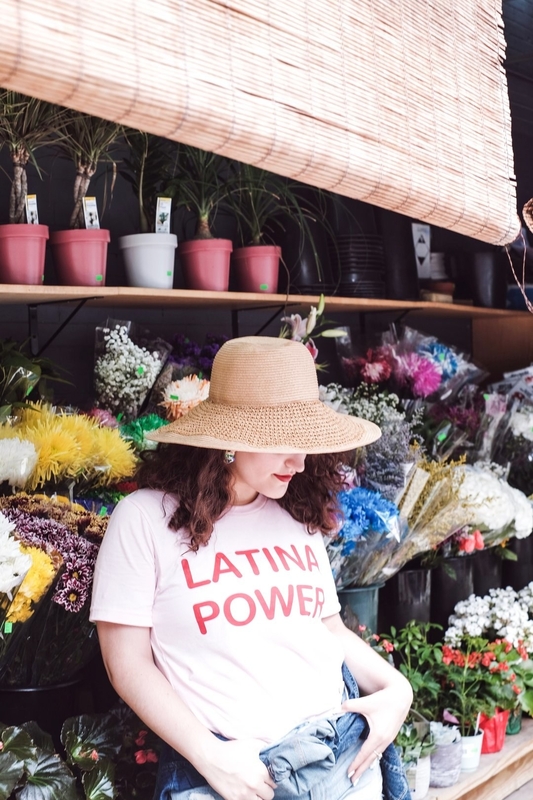 Spice up your gift giving game with these Latinx inspired gifts--dad, boyfriend, best friend, or dog, hay algo para todos! But don't procrastinate--small shops don't do prime shipping! MAGA as in.... "Make Carne Asada Burritos $5.00 Again" (PREACH!!!!) available here for only $18.00. 2. Know someone who loves Selena? More like, who doesn't?! Spice up someone's decor and snag this Selena art print here for +$12.25. Everyone's space could do with some more amor, so spread the love with this Walter Mercado quote print, featuring metallic moon and star details. Find it here for only $12.00. Didn't get a gift from your SO? Pobrecita. Got a paper cut wrapping presents? Sana sana colita de rana... Caught peeking at your gifts? Beware of the chancla. This Things My Hispanic Mom Says Sticker Pack is yours mija, for only $12.00 here (also, 🚨great BFF or sister gift alert!!! 🚨). That's right, a Pan Dulce Dad Hat available in 10 different colors!! Get it here for $32.00. 6. Who say's your tree can't have an appetite? An appetite to LOOK FRIGGIN' DELICIOUS!!! That's right, Pan Dulce Tree Ornaments, order a pack of three for $15.00 here. Join the ranks of the best gift giving prim@s, tí@s, y herman@s of all time by ordering one here for $12.00. "Vamos a ver Estar Guars, ¿no?" And you can check even more gifts off your list, because it's available in kids *and* adult sizes, from only +$11.99 here. 9. "¡Ay %#@&!, where's my purse?" You know her. She's classy, and sassy. And if she's ever said any sentence that starts with ¡Ay %#@&!, you have to get this for her. Meet LA NEWYORKINA CLUTCH, the accessory turning *OG* latin embroidery into the every day, minimalist must-have. This artisan handbag is made using a pedal machine--ya, just like the kind your abuelita had so you know it's legit! Choose your color and order one here. Give the gift of knowledge, because Latino U.S.A., A Cartoon History is the only book that will have your sobrinos *and* your tíos sitting down to read. Add to your Amazon cart here. Meet Vive Cosmetics: not only do they make their goods cruelty free, vegan, and in the U.S.A., but they serve up some serious make-up game made by Latinas, for Latinas. 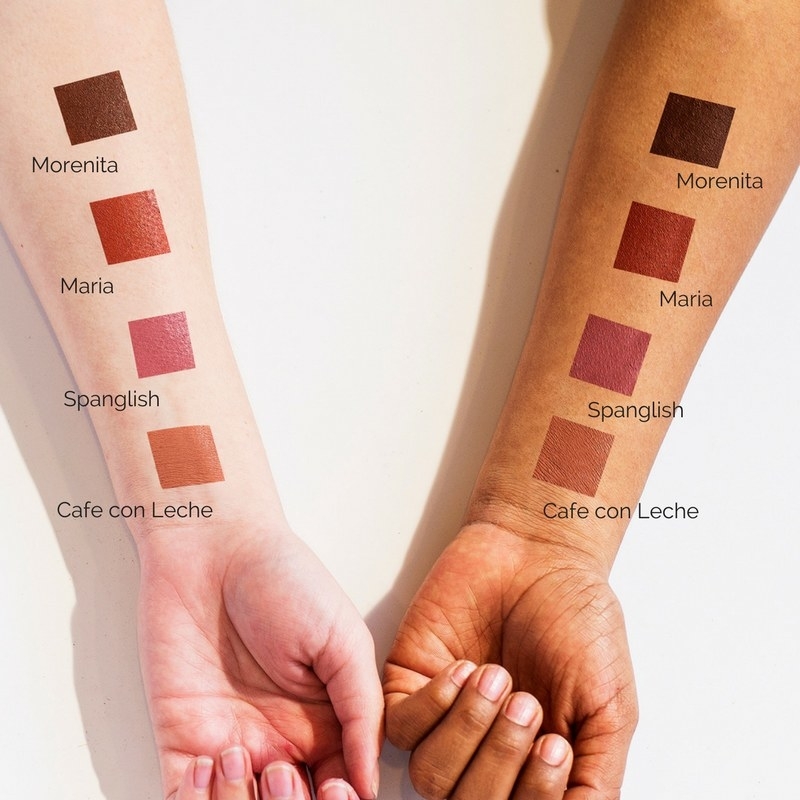 Check out their ¡QUÉ MATTE! 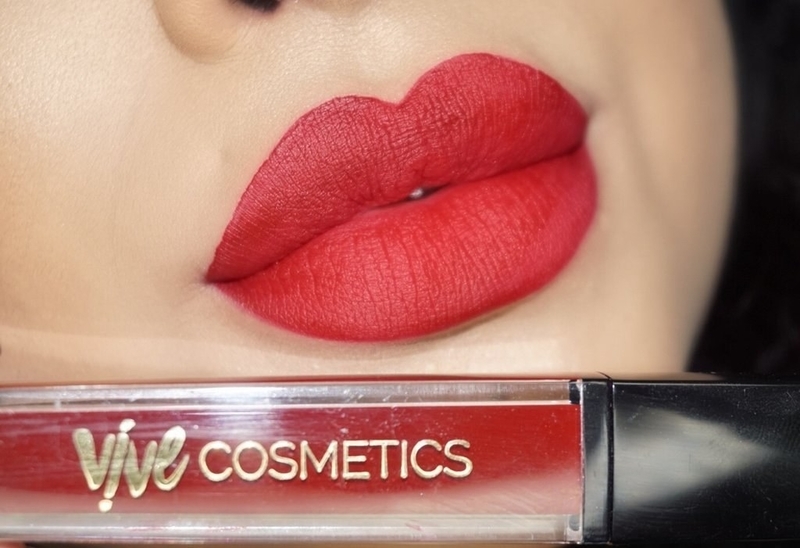 Lipstick line here, and use code VAMOS25 or VAMOS30 for 25-30% off. 13. ¡Viva la mujer...y tambien el iPhone! Order the case she'll actually want to use here for $18.25. No phone? No problem. You can also get it as a tote bag. 14. Because high 👏 school 👏 Spanish 👏 won't 👏 be 👏 enough! Because your chiquitito should learn to read Spanish at home, not for the first time in 10th grade. ¿DÓNDE ESTÁ EL COQUÍ? is the *perfect* gift for the little one in your life, and even better if you read it with them. Order here for only $13.99. 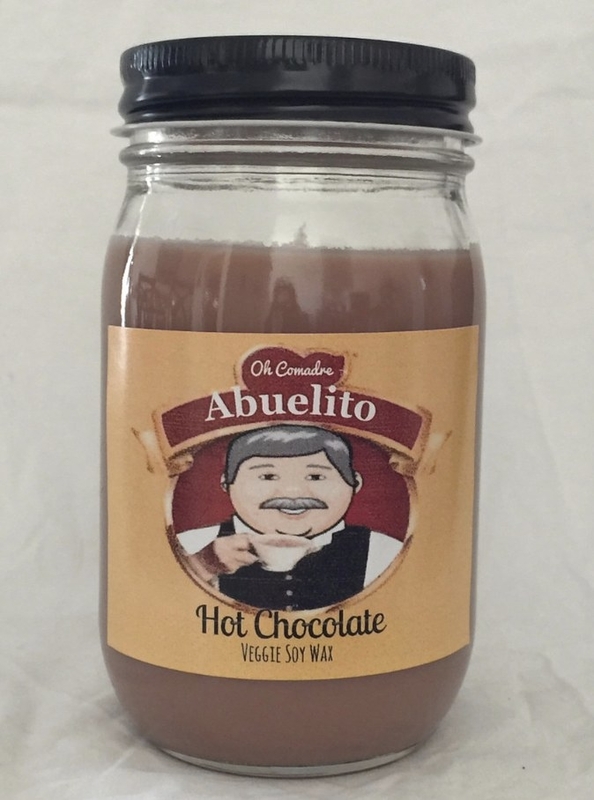 Don't worry, pan-dulce lovers and abuelita hot chocolate lovers can get candles too. ¿Te sientes mal mijito? We all know someone who is *always* getting sick. Give them one of these and next time it'll be like mamí is right there taking care of 'em (note: tecito not included). Get one here for only $12.99. 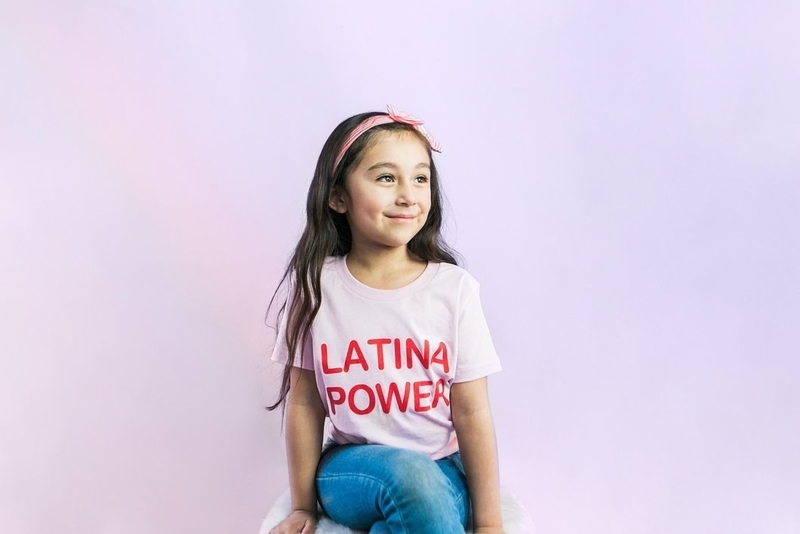 Snag one here for $30.00, and another for your latinita here, cuz they come in kids sizes! From her signature red lipstick, to her rosary, get ya girl a gift that tells it like it is. Her eyeliner and her charger have no business being carried around in anything less. Order one here for only $15.99. 19. Nena nena nena nena nena nena nena nena... BATMAN! Maybe you call her nena. Maybe her dad does. Maybe her tía does, or her brother, or her best friend. This is *the* gift for the girl who responds to "nena" better than her own name. Order one here for $25.00. 20. For the pan dulce lover. AKA literally anyone ever. Get this for someone who's love of pan dulce needs to be displayed to the world, in the most stylish way possible. 21. For the one who needs a piece of home, at home. Who said souvenirs had to be tacky? 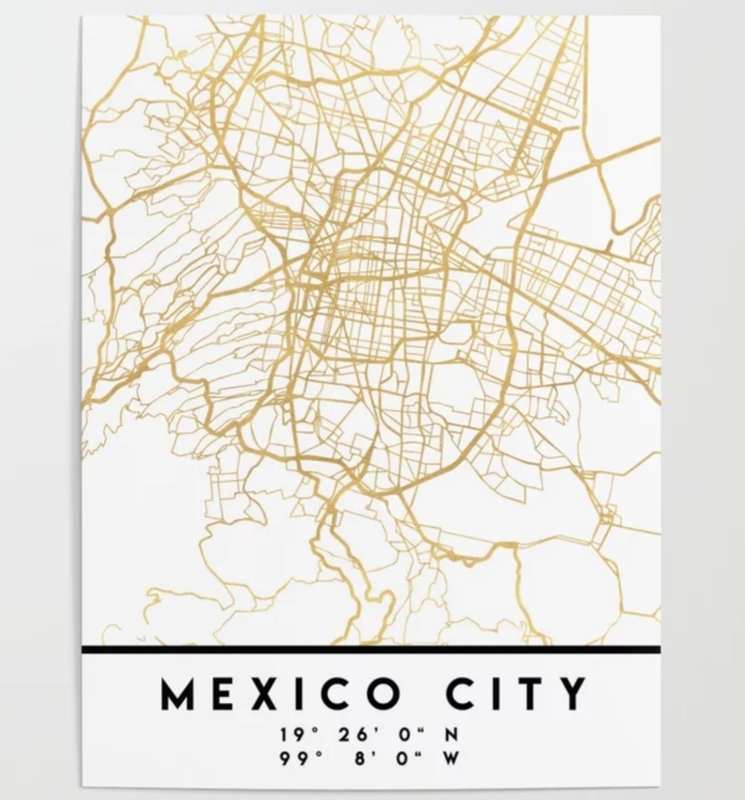 Gift this Mexico City print to bring an elegant, minimalist touch of Mexico into any home. 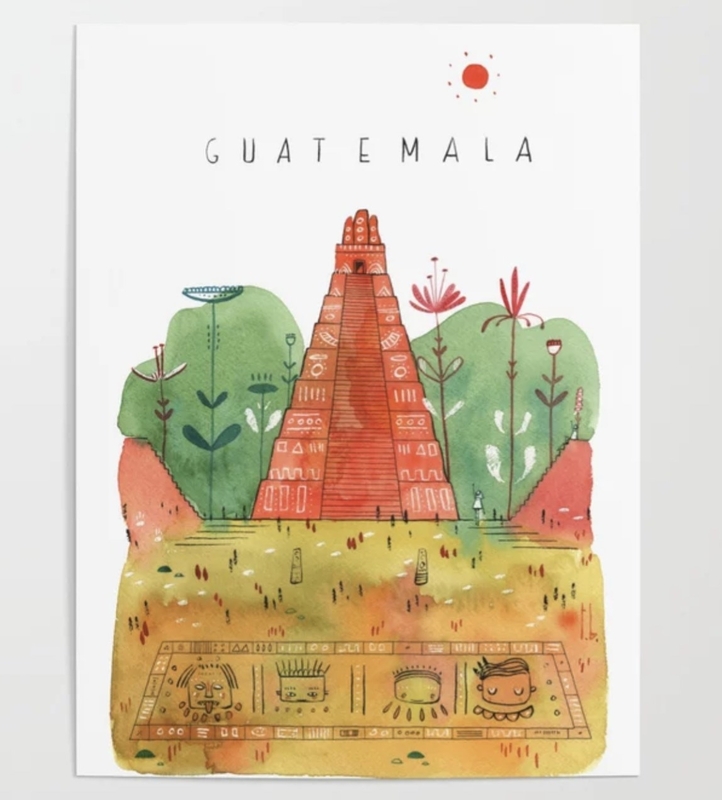 Or maybe this Guatemala poster to add some warmth to empty walls. Each available for only $19.99. Like the idea but not quite right? You can find one for almost any city or country, like Santiago or Cuba. Try searching on Etsy or Society6! La Panadería meets bath time: I give you, the Panadería Bath Bomb Holiday Gift Set. 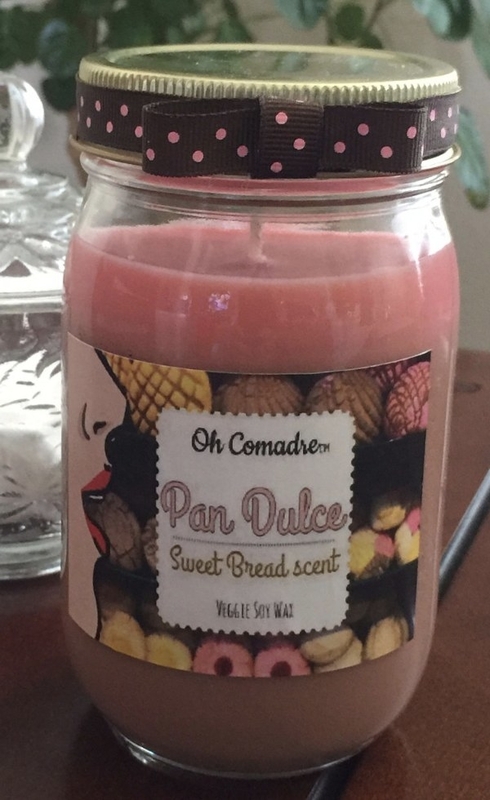 Who wouldn't want to relax after a long day with a hot bath...and come out smelling like pan dulce? Grab a set here for $25.00. Give the gift of home decor with a subtle tribute to an Andean icon, because llamas were *so* 2013. Card idea alert: "Alpaca-it back up if you make a llama joke." Because the DR is love, and love is the DR, and that's worth putting up on a wall and seeing every day. Order one here for only $9.95. Wine is a classic go-to gift. But this time, get the wine that Cesar Chavez would cry happy tears over: wine from a Latino family owned winery. Shop Ceja Vineyard's wines here (ages 21 & up). The perfect gift for that one friend who's favorite word is "güey". Grab one here, güey, for only $9.99. Better act fast, they're low on stock güey! Get a one of a kind, embroidered dog leash made by a Latino owned company in the heart of Downtown LA. Plus, each purchase supports the Watts Project, Downtown Dog Rescue, and the Downtown Women's Center. 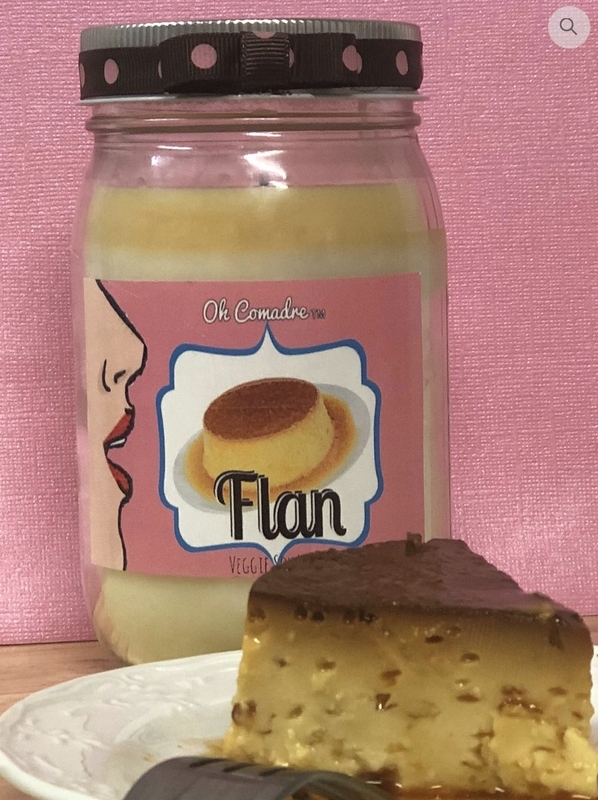 Do you have any 🔥🔥Latinx gift ideas? Comment below! !